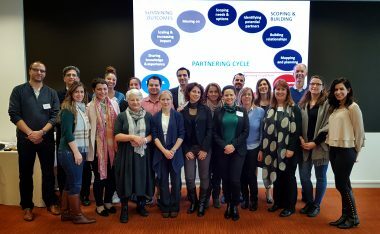 The pilot of our new online Remote Partnering Certificate (Level 1) was completed mid March 2018. Read more. Our trainers, Ros Tennyson and Julie Mundy worked with a diverse and interesting group of people during the flagship Partnership Brokers Association Training in Geneva in November 2017. The World Economic Forum hosted us at their headquarters overlooking Lake Geneva. The challenges of high-level multi-stakeholder partnerships supporting the SDGs, the humanitarian sector, food security and climate change, and public-private partnerships were popular topics of discussion during the course. Congratulations to our new graduates who are now part of the PBA worldwide alumni. We’ve been adding new dates and locations for training in 2018, and there will be more listed as we approach the end of 2017. For an up-to-date list, please visit our Training Page.